deliver winter hats to the local Salvation Army. 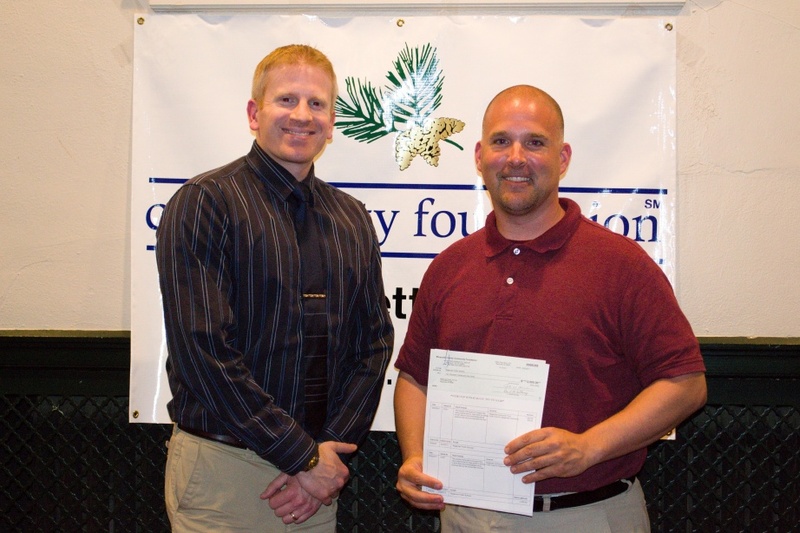 The Community Foundation’s 2019 Grant Distribution will be held Wednesday, June 5th from 5:30-7p.m. at the Presque Isle Pavilion. Thank you to all the sponsors and guests who attended our 2018 Annual Celebration! we were able to raise over $20,000 for a new K-12 Great Lakes Education Fund: The Marion VanderVeen Environmental Education Fund. The purpose of this annual membership meeting is to hold board elections and review proposed amendments to the BYLAWS - August 2018 Amended and Restated. Congratulations Peninsula Art Appreciation Council/Vista Theater! 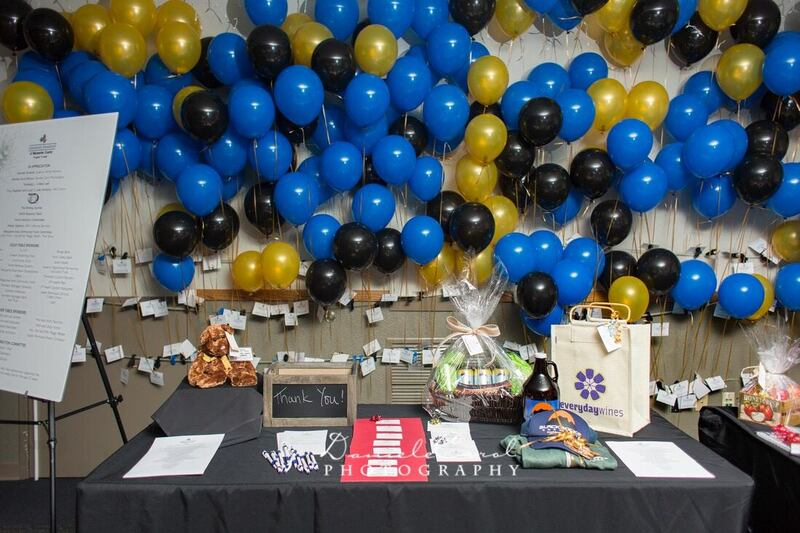 On Wednesday evening, November 7th the Greater Ishpeming Area Community Fund and the Negaunee Area Community Fund held a Business After Hours event at the Ski and Snowboard Hall of Fame in Ishpeming. 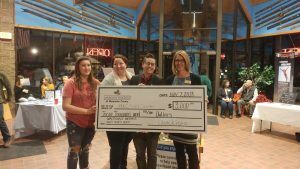 The event highlighted six nonprofits that competed for a $3,000 grant from the two funds. The community got a glimpse of what the Community Foundation does every grant cycle, those who attended were able to vote (with their dollars) for the nonprofits that they felt were most deserving. Each organization walked away a winner with the monies used to vote for their program. 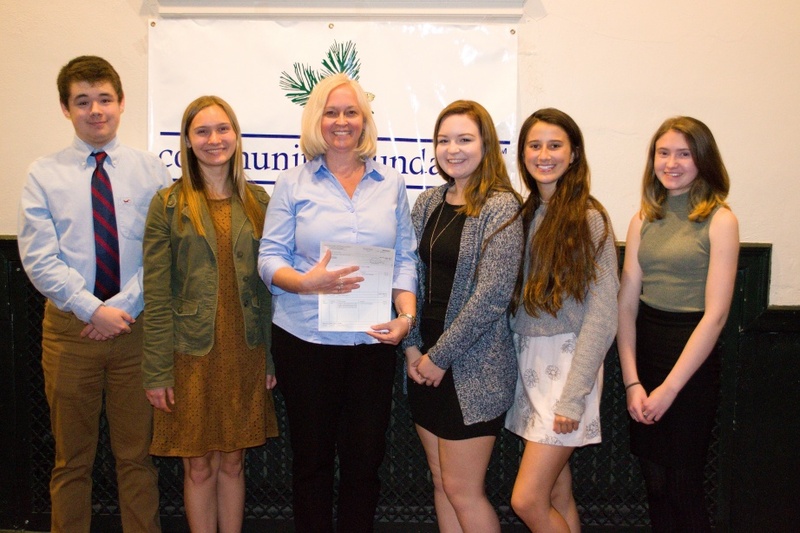 The overall winner of the $3,000 grant was the Peninsula Arts Appreciation Council/Historic Vista Theater to launch the development of professionally written strategic plan for the organization which will not only help the theater, but will help enrich the community. 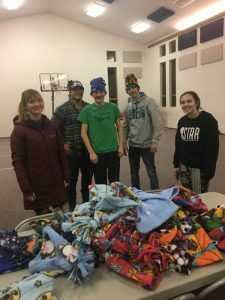 Other participating nonprofits were, UPAWS, UP Children’s Therapy, Big Brother Big Sisters, US Ski and Snowboard Hall of Fame, and the Hiawatha Amateur Radio Association. 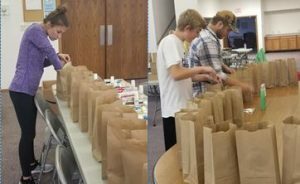 Members of the GIACF Youth Advisory Committee along with adviser, Shannon Edmark, collected and packaged personal care items to be distributed to middle and high school students who participate in Patriot Power and Hematite Power Pack food programs. The packed 80 bags with toothbrushes, toothpaste, soap, shampoo, etc. These bags were distributed at the end of the school year and the programs will continue next year. 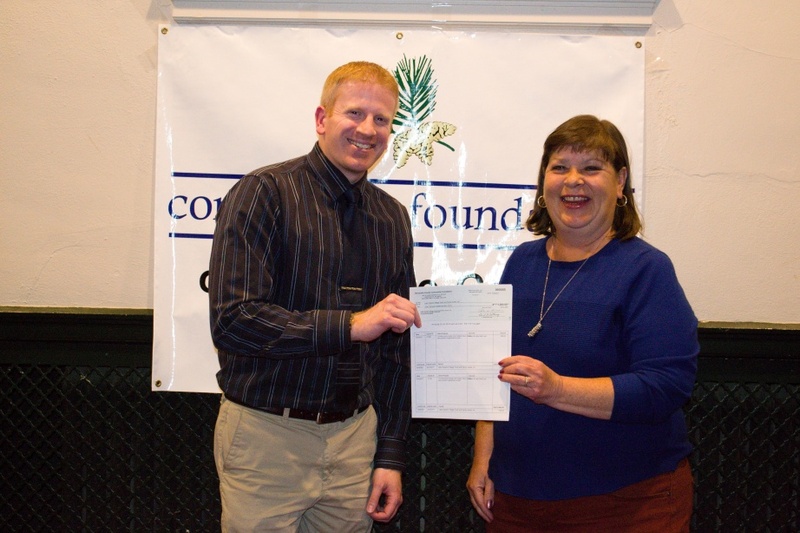 On Monday June 5th, 2017 at the Kaufman Auditorium, the Community Foundation of Marquette County announced the recipients of the 2017 competitive grant cycle. 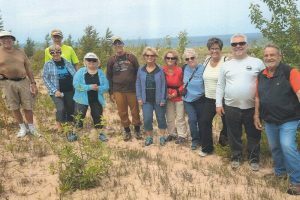 Community funds generated through a multitude of local donor gifts invested wisely over the last 28 years produced funds for Big Bay, Gwinn, Ishpeming, Negaunee and Marquette and were distributed for a number of varied projects. 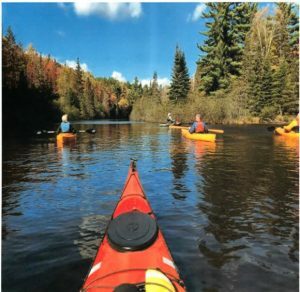 Ninety-eight applications produced a total of fifty-eight grants with projects ranging from a summer bike program for at-risk youth in Marquette to funding to assist Marquette County residents who have been diagnosed with cancer. 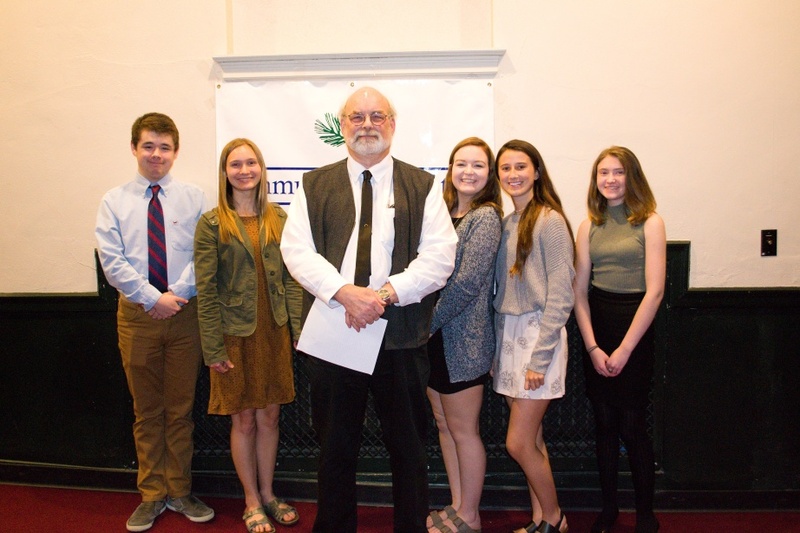 The Gwinn Area Community Fund granted a total of $2,169.38, the Greater Ishpeming Area Community Fund granted $8,450.00, the Marquette Area Community Fund granted $48,055.00, and the Negaunee Area Community Fund granted $17,895.00. The grand total of all the distributions was $76,569.38. Pictured above are CFMC Board member Jim Hewitt and Marquette YAC members with grant recipients: Karen Wolf with Lake Superior Village Youth and Family Center, Todd Backlund with Environmental/Agricultural Projects for Negaunee Public Schools, Jim O'Brien with Pine Mountain Music Festival, and Kay Bammert with Silver Creek Church. $150.00 - Ishpeming Fourth of July Celebration, Ishpeming Independence Day Inc.
$640.00 - Camp New Day, Camp New Day U.P. $700.00 - Yellow Dog River Community Forest Development, Yellow Dog Watershed Preserve Inc.
$1,000.00 - Lake Superior Village Youth and Family Center, Inc., Lake Superior Village Youth and Family Center, Inc.
$2,000.00 - Brewing Up Job Opportunities for Adults with Employment Barriers, Lakestate Industries Inc.
$2,500.00 - Girl Scout Outdoor Experience, Girl Scouts of the Northwestern Great Lakes, Inc. I learned something about life last night. About what is truly important in the lives of our children as they grow up. This is the 2nd April that I have made my way to Westwood High School for the Westend Gearbusters Robotics end of the year dinner. I enjoyed the wonderful homemade food and warm UP welcome I received. The students, parents and volunteers show up for this evening of recognition and appreciation to celebrate another successful year for the Gearbusters Robotics Team. The Greater Ishpeming Area Community Fund has granted to this organization; hence the invitation. Back to what I learned, First Robotics competitions impact includes participation in key STEM activities where students gain experience in a number of outcomes including 21st century work-life skills, leadership, innovation, and entrepreneurship. 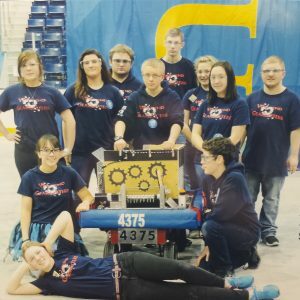 This group of 12 mightily engaged high school students surrounded by caring parents and volunteers, who obviously adored and respected them and their accomplishments, enthusiastically demonstrated the robot they constructed. I was especially impressed with an elderly couple who led the festivities. A retired military gentleman and his life partner who give their time September to May each year to organize and run this privately supported organization. They mentor, recruit, organize, fundraise and tend to the countless details involved in bringing this team through a successful season. 1. Students appreciate when their parents are involved. 2. Volunteering to work with high school students is rewarding. 3. 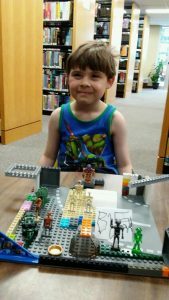 You are never too old to impact the younger generation. 4. The practice of apprenticeship is very important. I am honored and grateful to be able to represent the Community Foundation at these types of events. I encourage you to look around for volunteer opportunities and share your interests and talents with a young person. Think about the many mentors in your own upbringing and take advantage of every opportunity to pass that along. 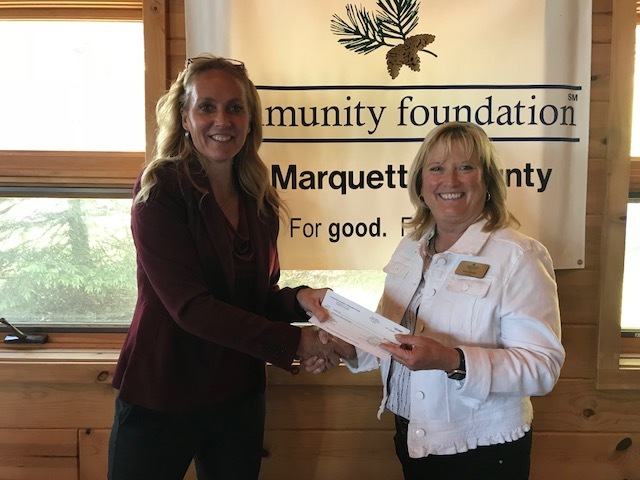 The Community Foundation has been working attentively for over 28 years to build, inspire and impact our quality of life in Marquette County. On October 3, 2017 in conjunction with its affiliate funds, the Foundation will observe its 28th anniversary through a donor appreciation celebration and fundraiser. The event, open to both past and potential patrons, will be held at 5:00 pm in the University Center at Northern Michigan University.